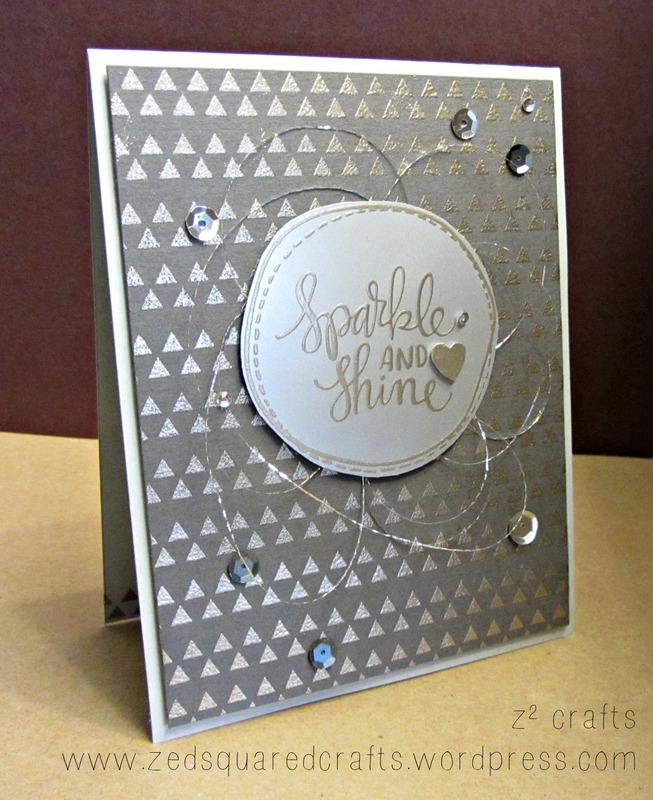 Grey is my ultimate favorite colour so I was totally jazzed to play along with the Colour Me…! challenge this week. This week the CMCC#49 is to create a monochromatic project using grey. I stamped the background using Versamark ink and a stamp from the kit onto a piece of slate grey cardstock (also in the kit). Next, I heat embossed using the Ranger Platinum embossing powder and trimmed the background to 4×5¼”. 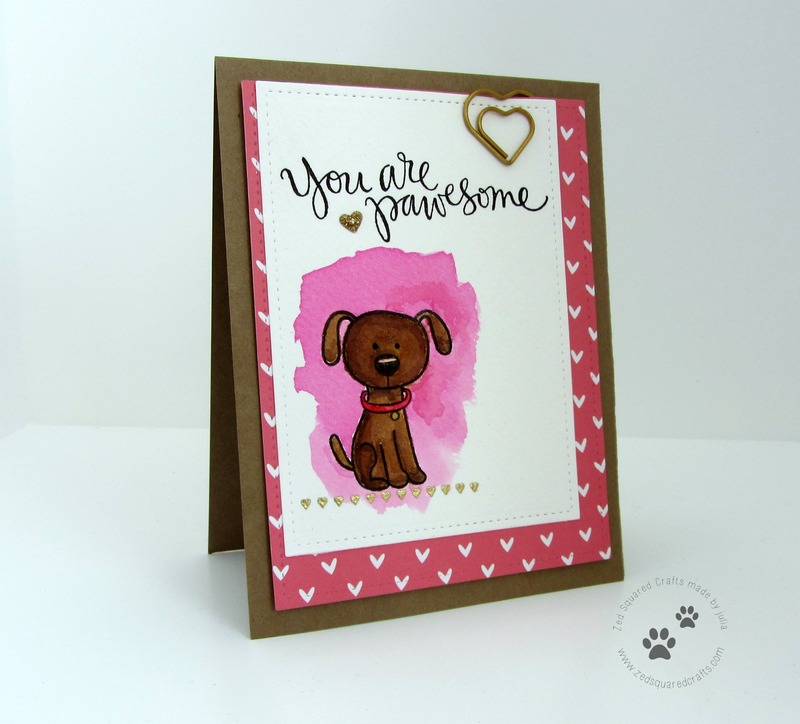 I set the background aside and stamped the circle outline and Sparkle and Shine sentiment onto a square of the Matte Metallic paper (from the kit) and heat embossed, again using the the Platinum powder. I wasn’t sure how heat embossing would work on the metallic paper but it turned out perfectly. I stamped a small heart and embossed, used a tiny clear foam square to mount it to the sentiment and then trimmed around the circle leaving a thin border. Using some thin silver thread (tinsel) I created a bushy mess and then adhered my sentiment (with foam tape) over top to hold the thread in place on the background. To finish the card, I used my Tombow Mono liquid glue to adhere some sequins (some from the kit, some from my stash) and then foam tape to position the panel onto my light grey A2 (5½x4¼”) cardbase. Thank you so much for dropping by! Make sure to check out my on going Twelve Days of Christmas feature. Have a wonderful week!